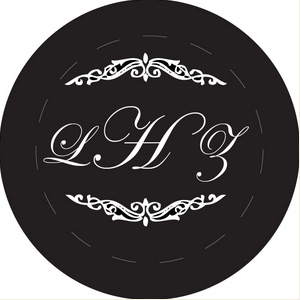 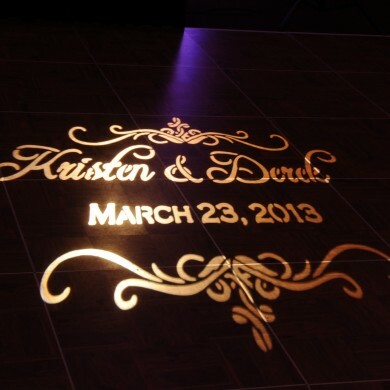 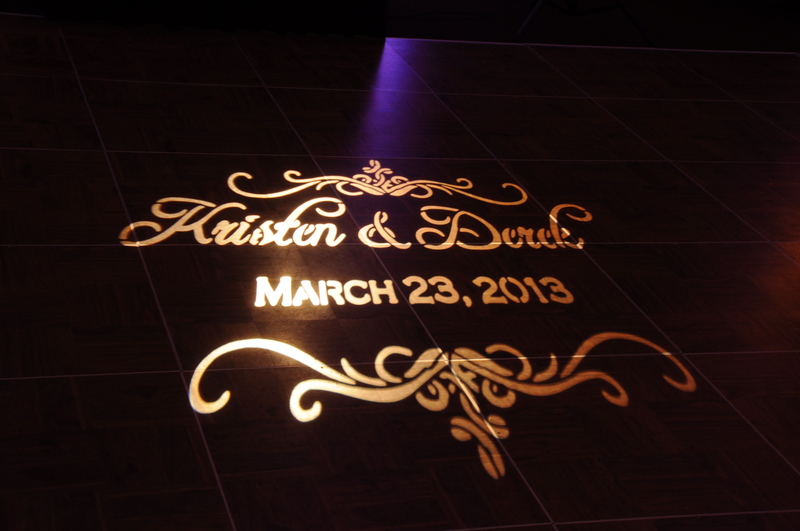 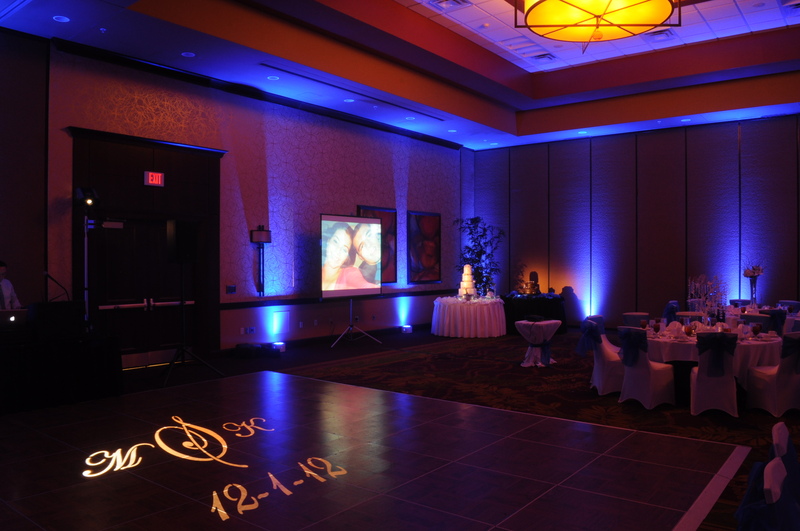 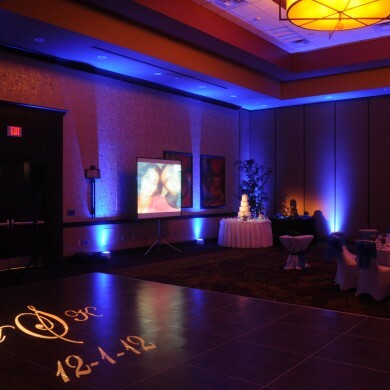 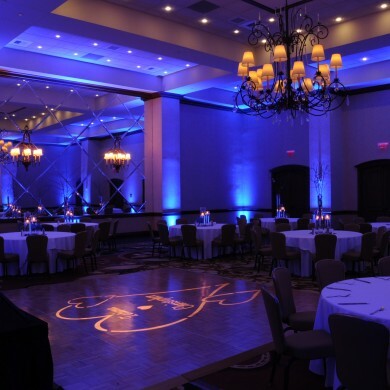 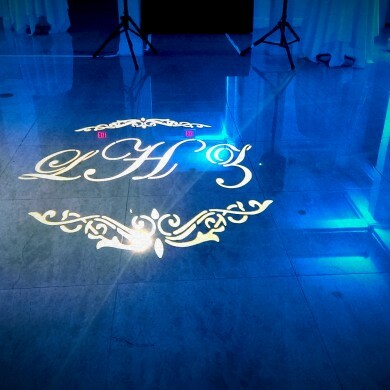 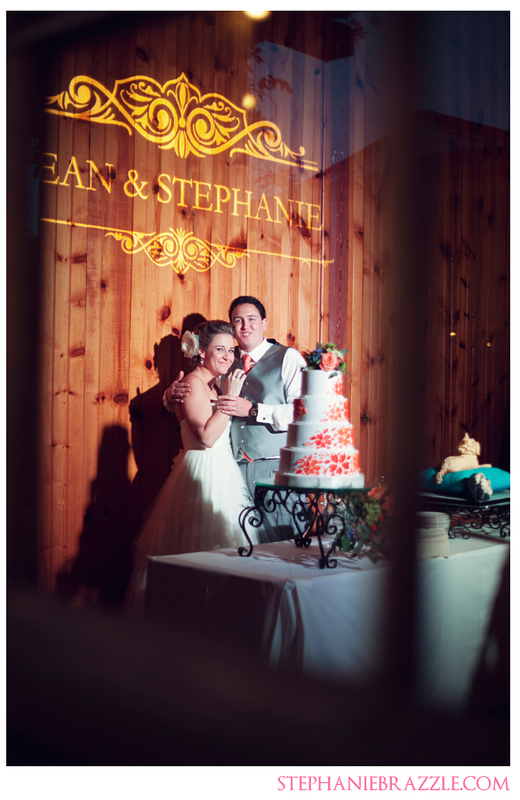 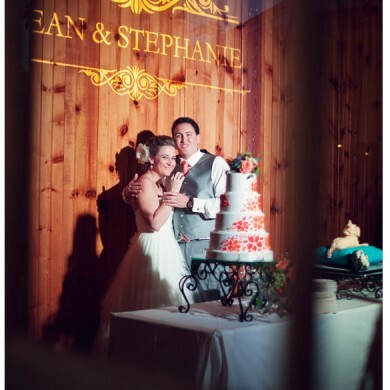 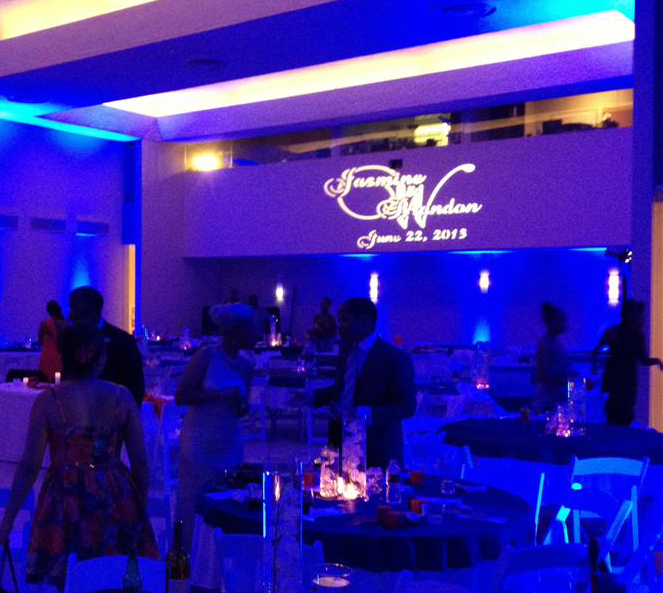 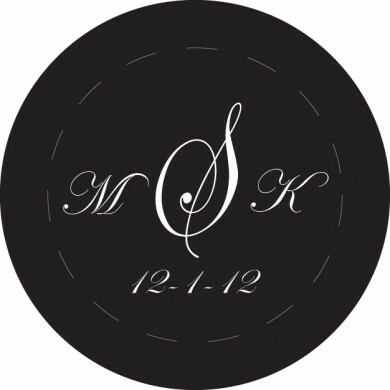 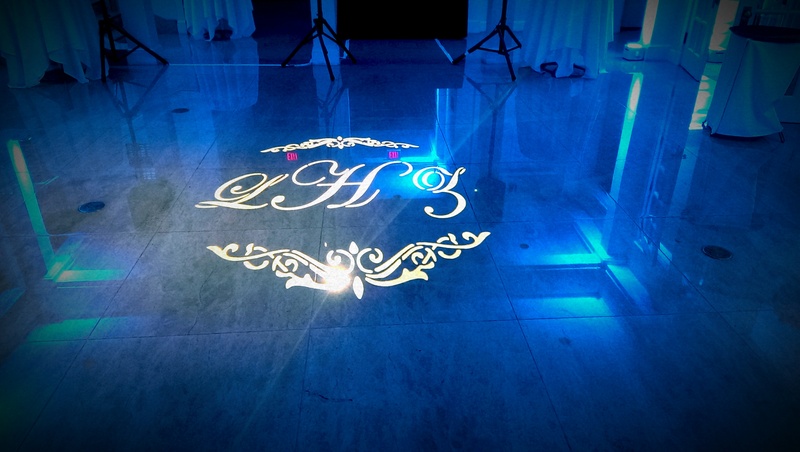 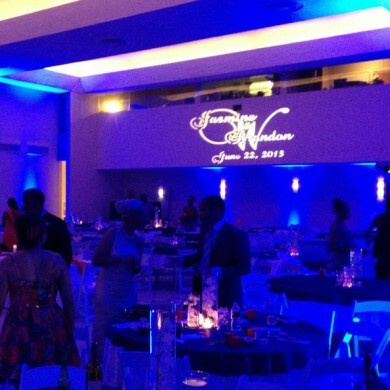 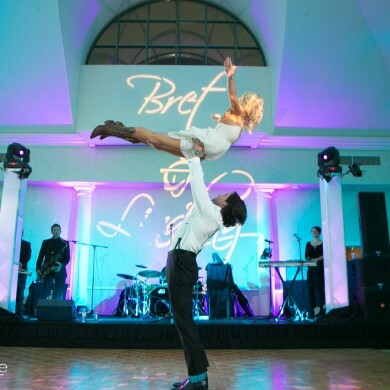 A monogram is a nice way to add a personal touch to the lighting for your wedding reception. 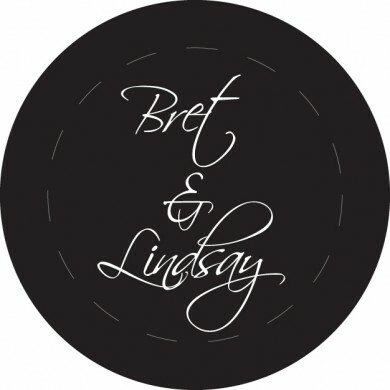 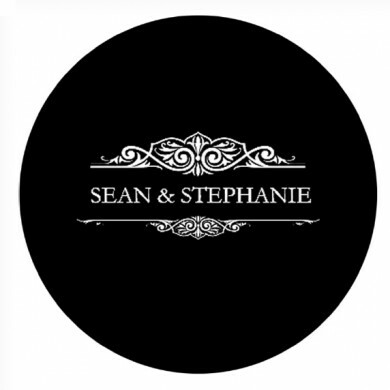 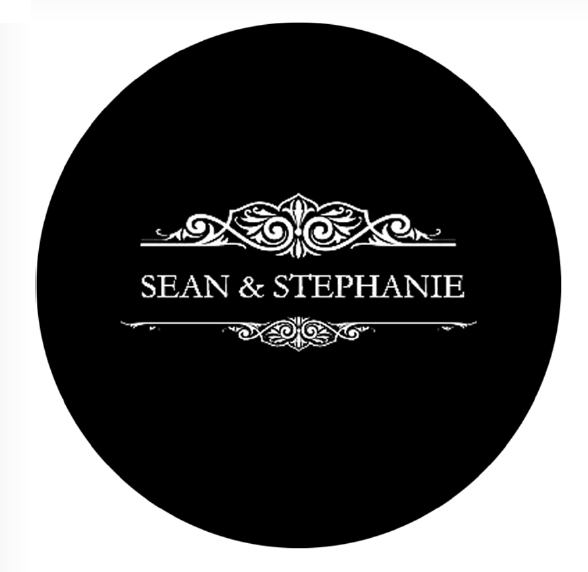 We will work with you to create a design that includes any elements you would like–your names, initials, wedding date, or anything else you would like. 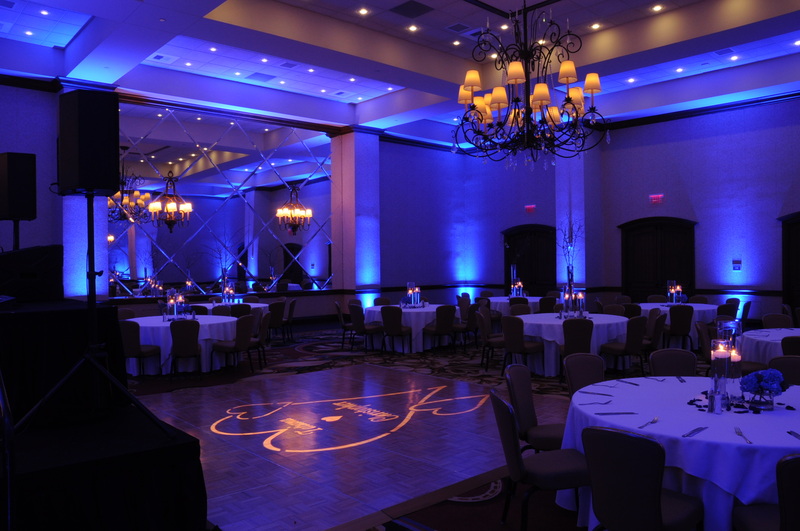 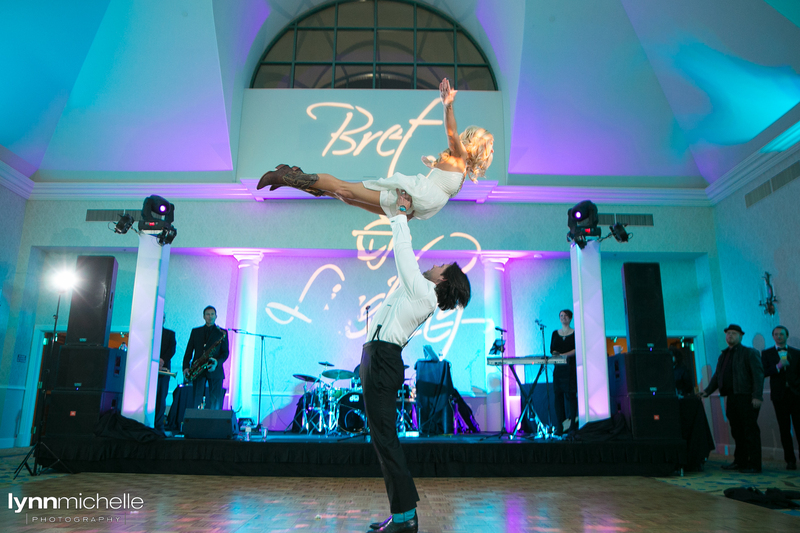 Then we will use a special light to project the image wherever you’d like at your wedding–on the dance floor, a wall, or even outside the venue so your guests see it as they arrive. Check out the gallery below for examples of some monograms we have done for weddings in Dallas, Fort Worth and all around DFW.